This pickle is one of my favorite pickles. Whenever we get fresh coconuts during festive seasons, we make sure to have this pickle. This time hubby dear made this pickle, which was delicious. Pour the oil in a pan. When it is hot add coriander seeds and fry till golden brown. Then add red and green chilies and stir well. Fry till the chilies lose color. fried for a long time. Transfer the contents to a different plate and let it cool. Then grind the coconut mixture into a coarse paste by adding salt. Add tamarind during halfway of the grinding process. Add little water if needed. Enjoy this yummy pickle with hot rice and ghee. This pickle is new to me Uma. Never heard of this before. It is now on to try list.. I make almost a similar kind of chammanthi podi. Adding green chilly is new to me. looks nice... i dont add coriander seed.. in tamil, called coconut Thogayal.. nice click..
Yummy..looks awesome..this pickle goes very well as side for curd rice..my fav dish.. I thought it to b cake. Wow nice presentation and yummy pickle. This is new to me Uma..Never heard abt this..I love all pickles..Sure I will try this..
That mustbe just perfect with curd rice/lemon rice/coconut rice - so yummy. Never heard of coconut pickle. Looks great. Thanks for sharing. nice recipe..new to me..thanks for posting it..lovely picture..
Looks so good, how long will this stay good? Does it need to be refrigerated to keep it longer? Thanks for a nice recipe. Will certainly try it some day . we call it thenga thuvayal uma...luv it as u said...how it u make the star girl! its so cute..u have any impressions or wat? Another delicious pachadi Uma! Credit goes to him :) Sure It should be heaven with hot rice and ghee! hi, I love the pic, and this is my fav with hot rice and ghee, idlis, dosas, chapthis, etc.. my MIL makes this and sends it. 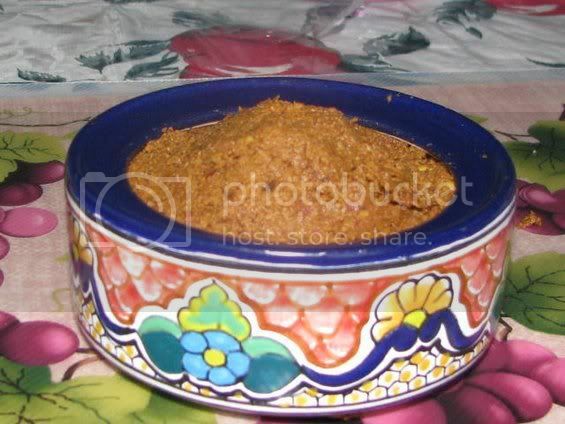 My mother makes this without tamarind and uses pepper along with red chillies, and it is more dry powder. 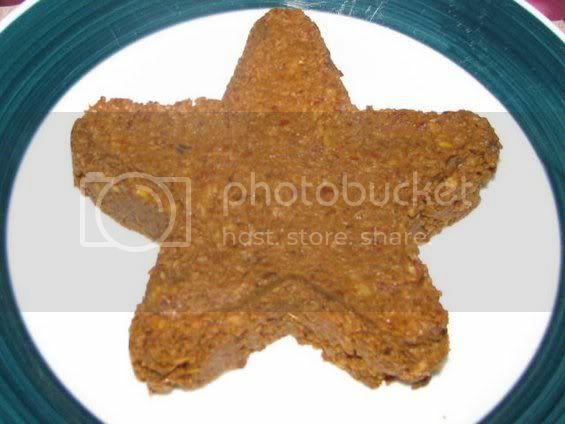 Loved the star shaped coconut pickle filling, must taste delicious. Lovely presentation, and love this pickle. very nice recipe!!! Nice presentation Uma.. !! Glad to know about your nephew. Did he just start there ? I went there too..
wow.. never heard of it.. sounds very delicious.. i will def try it. hey thats a cute presentation....nice to see my moms special here. Uma..thats such a lovely way to use coconut..and nice that your hubby can make this!..will check out your nephew blog! This is new and I'm definitely going to try it. Umaaaaa wow and double wowwww! this "star" is really fantastic! you are really great, really good job dear! I like the way you've presented it as a star. Iam sure it will be the star of many meals. 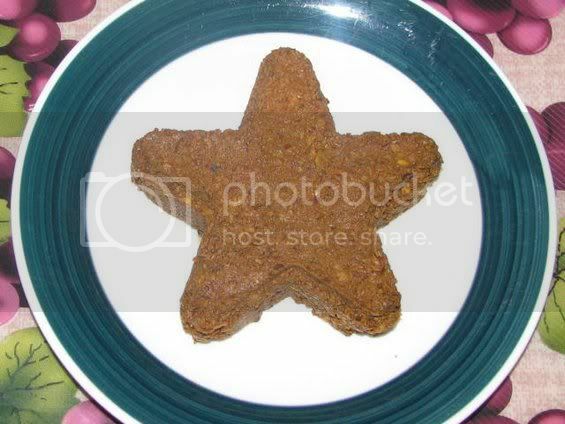 This looks really drooling, will try this Coconut pickle when i make idlis next time..
Looks absolutely like star fish on a plate. This is so much like coconut thuvaiyal but will certainly try out your version the next time. This pickle looks gorgeous Uma and I adore the star shape. Yummy, Uma, I've never had a coconut pickle before, and it looks gorgeous. I love that creative star shape. To answer your question about Sweet Vegan, you can definitely use regular sugar. Honey, on the other hand, is not allowed since it is a direct animal product. Thanks for checking! I thought I had heard of all pickle varieties, but never coconut pickle. Very new recipe. This is very new to me Uma. Nice pickle. I will try this. We make thogayal like this, and it goes really well with rice, a little bit of oil and papadams:) Great taste!